Camp with your morning coffee and the Field & Stream® 9-Cup Coffee Percolator. 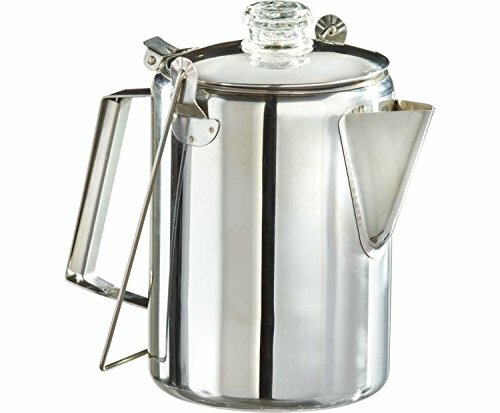 Designed for easy use in the outdoors, this percolator features a lid to keep coffee hot and bugs away, plus a glass, PercView® knob. Easy to clean and dishwasher safe, this percolator pairs perfectly with your next adventure. View More In Coffee & Tea Pots. If you have any questions about this product by Field & Stream, contact us by completing and submitting the form below. If you are looking for a specif part number, please include it with your message.